The Pentalena catamaran car ferry on South Ronaldsay in Orkney. Andrew Banks, the owner and managing director of Pentland Ferries, is seeking reassurances about the introduction of the Road Equivalent Tariff (RET) scheme. It would see costs to passengers cut by up to 20%, but questions remain about whether the scheme is legal, according to the ferry company. Now Mr Banks wants the Cabinet Secretary for Transport, Infrastructure and Connectivity, Michael Matheson, to visit Orkney for talks. His concerns stem from legal advice taken by Pentland that suggests the RET scheme may be non-compliant with EU state aid rules. According to Pentland Ferries, the minister recently confirmed the business would be liable for the costs of the passenger subsidies and such a bill “could run into the millions and could finish us off” according to Mr Banks. He said: “We want these passenger subsidies implemented as soon as possible but we need to be 100% sure that the scheme complies with state aid rules. “We have never had any subsidy from government and even though this scheme gives money to the passenger not the operator, the minister has told us that we would be liable for any repayment, if at a future date the scheme is deemed illegal. 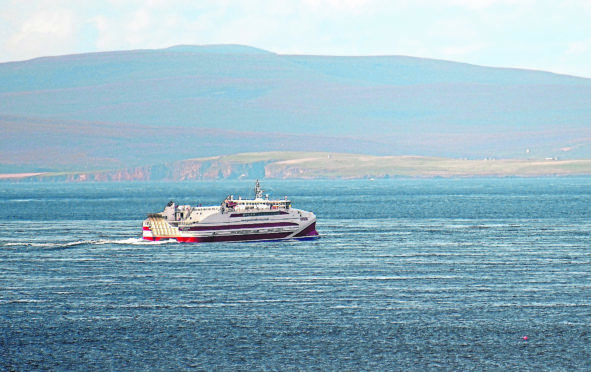 Pentland Ferries operates from Gills Bay near John o’ Groats to St Margarets Hope on South Ronaldsay.